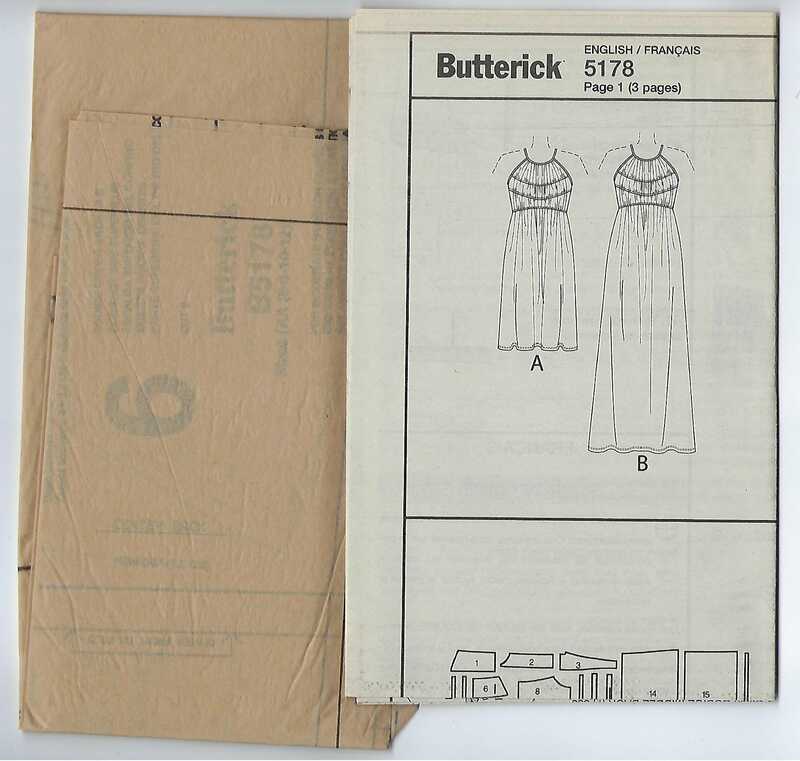 Package includes patterns and instructions to make MISSES Dress. 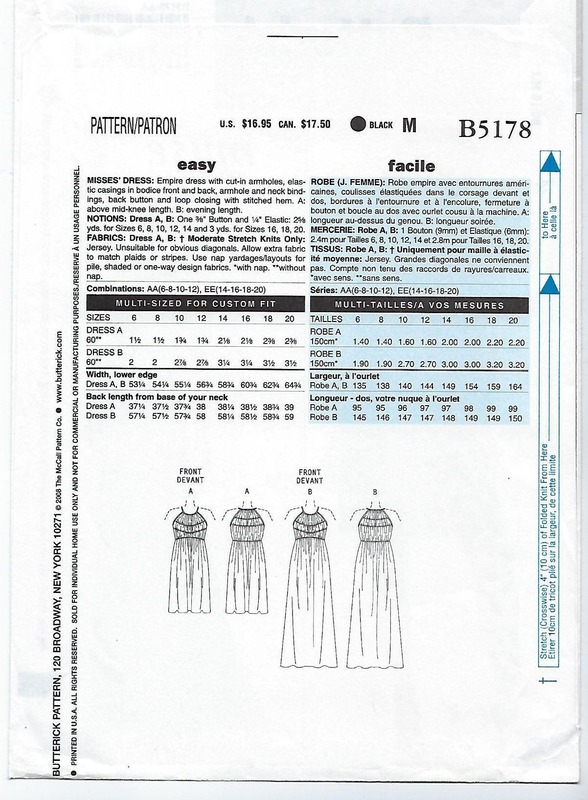 Empire dress with cut-in armhomes, elastic casings in bodice front and back, armhole and neck bindings, back button and loop closing with stitched hem. 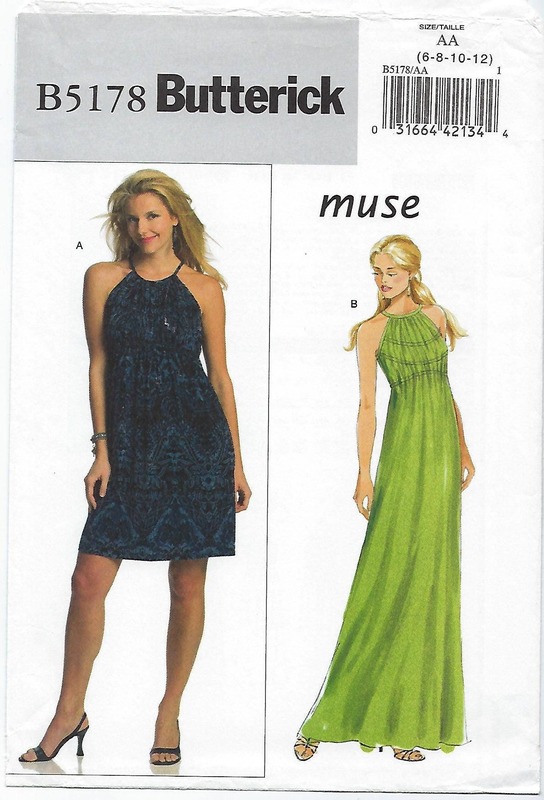 A: above mid-knee length. B: evening length.